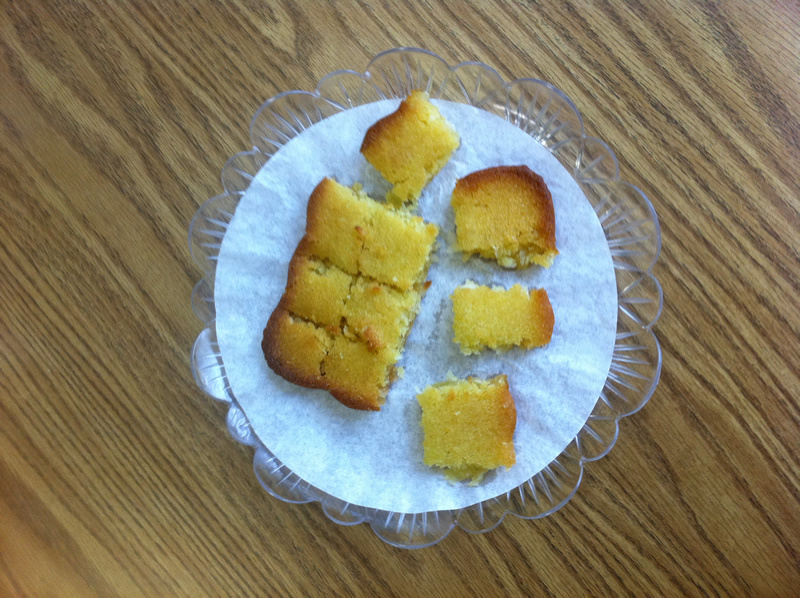 I made semolina cake the other day. 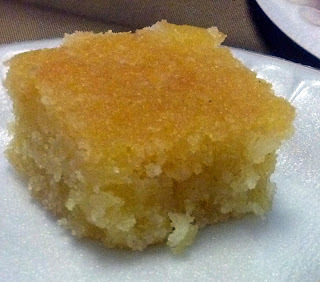 Semolina is a coarse flour made from durum wheat. It is a hard grain and high in gluten. 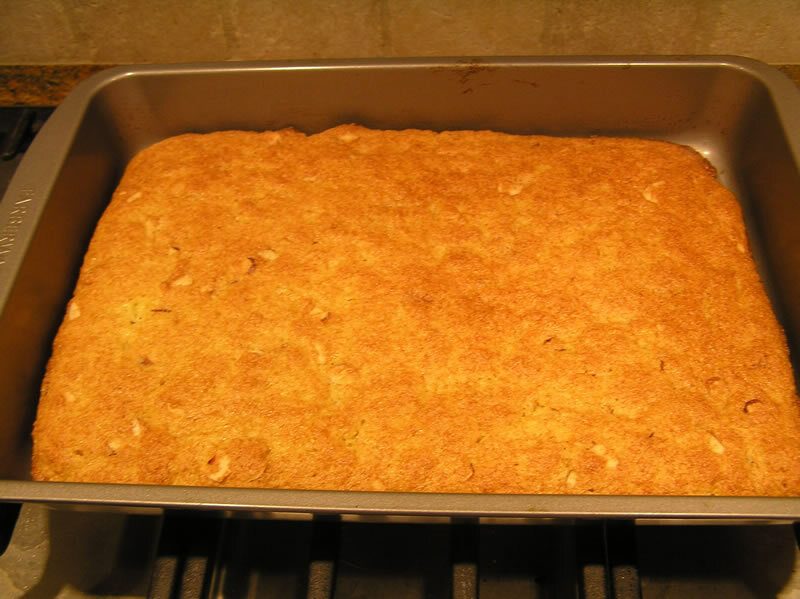 Pasta, couscous, breads and porridge are usually made with semolina flour, but semolina can also be used to make desserts, such as pudding or the above mentioned semolina cake. These are the leftovers I brought to work. Because of the coarseness of semolina flour, it's taste and consistency can resemble a sweet cornbread. 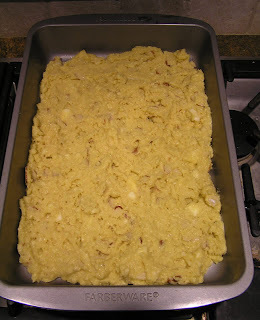 Try to find a finely ground version of semolina to lessen the corn breadiness of the finished product. The name of this cake depends upon where you eat it. And because the name is transliterated, there are several different spellings for all of them. 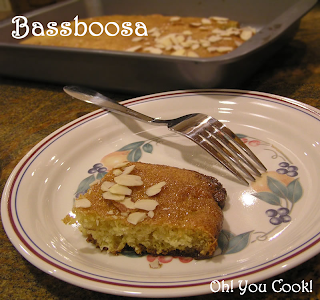 This middle-eastern version is basbousa. 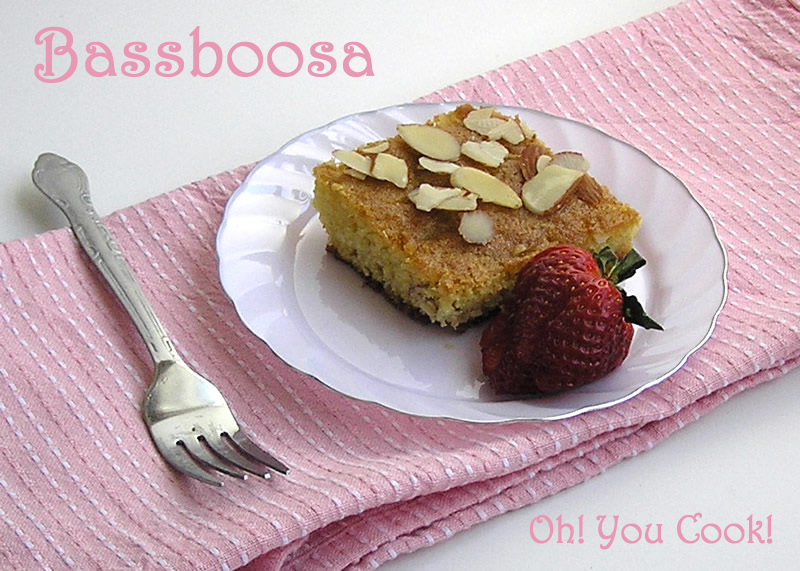 Or bassboosa, as Sabrina, Sara's mom, who provided me with an alternative version, calls it. Sabrina has made bassboosa for years and years, enough times that she measures out the ingredients with a "large mug." These last couple of photos are from the bassboosa Sabrina made for the local Girl Scouts International Day celebration. Since I have several different sizes of large mugs, I had to improvise a tad. 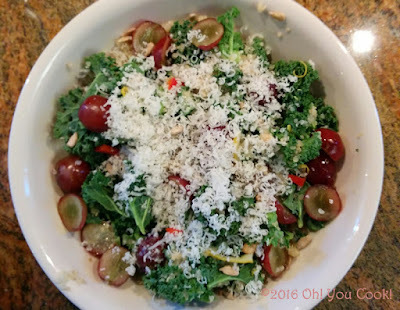 The version below was developed from a mash-up of my recipe and Sabrina's. Preheat oven to 350F. Grease a 9x12 baking pan. Set aside. Combine sugar, water and honey in a 1 quart saucepan over medium heat, stirring until the sugar completely dissolves. 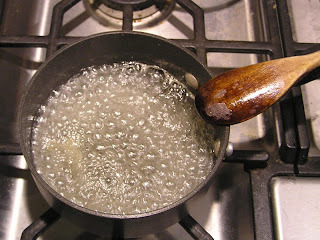 Increase heat to medium-high and bring to a boil. 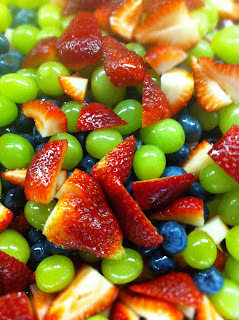 Continue to boil, without stirring, for 10-15 minutes or until syrup thickens a bit. Remove from heat and stir in lemon juice. Set aside to cool. While syrup is boiling, make cake. 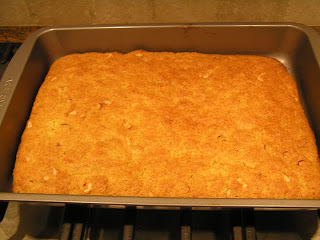 Sift semolina and baking powder together. Set aside. 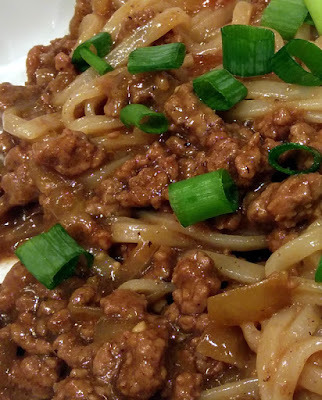 Beat butter or oil and sugar together with an electric mixer at high speed until fluffy. Add eggs one at a time, beating at high speed until fully incorporated, scraping down sides with a spatula as necessary. Beat in coconut and vanilla extract until incorporated. Fold in semolina mixture, alternating with yogurt. Fold in slivered almonds. Scrape batter into prepared baking pan. Bake for 30-35 minutes or until golden and a toothpick inserted into the center comes out clean. Immediately pour honey syrup evenly over hot cake. 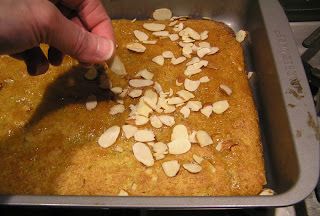 Top with sliced almonds, if desired. myself trying this now just before pessach. I like the sound of this cake. 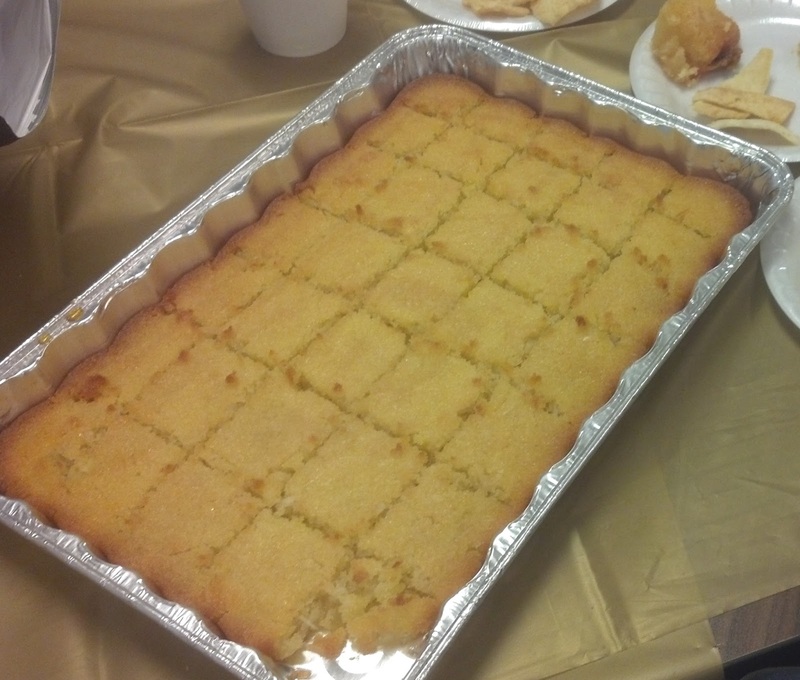 I love cornbread and honey!